TURBOREVS T5 HID covnversion kits ensures there are no warning lights flashing on the dash or any computer errors showing up, beaware of cheaper kits which have these problems, Turborevs HID kits have been tested on these cars to ensure they work properly. 2x H7 VW GOLF MK5 HID Holders. 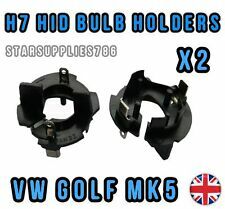 This is a pair of H7 bulb holders/adapters that are compatible with VW Golf Mk5. 2x VW Golf Mk5 Hid Holders. 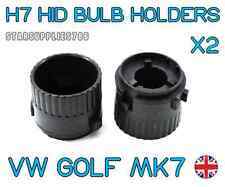 These Bulbs Holders are designed for all VW Golf Mk5 2005 - 2009 but may fit other models to. 2x H7 VW GOLF MK7 HID Holders. 2x VW Golf Mk7 Hid Holders. This is a pair of H7 bulb holders/adapters that are compatible with VW Golf Mk6/Mk7. If you have a Hid kit but cannot fit the bulbs correctly in the headlight then these holders are for you. This is a pair of H7 bulb holders/adapters that are compatible with VW Golf Mk6/Mk7 & Also VW Scirocco. 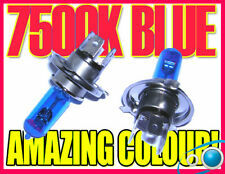 These Bulbs Holders are designed for all VW Golf Mk6/MK7 & Scirocco. 2x H7 VW GOLF/SCIROCCO HID Holders. 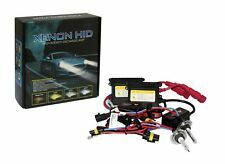 New Turborevs AC Canbus H7 HID Xenon Conversion kit fits VW SHARAN (00-07), SEAT ALHAMBRA (00-07). Our HID conversion systems are suitable for use on dipped or high beam applications. Simple to install, plug and play wiring harness. 2x H7 VW JETTA HID Holders. This is a pair of H7 bulb holders/adapters that are compatible with VW Jetta. 2x VW Jetta Hid Holders. If you have a Hid kit but cannot fit the bulbs correctly in the headlight then these holders are for you. 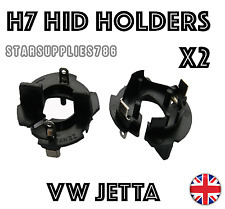 This is a pair of H7 bulb holders/adapters that are compatible with VW Caddy, Transporter, Touran etc. 2x H7 VW HID BULB Holders. 2x VW Hid Kit Bulb Holders. If you have a Hid kit but cannot fit the bulbs correctly in the headlight then these holders are for you. 2x H7 VW SCIROCCO HID Holders. 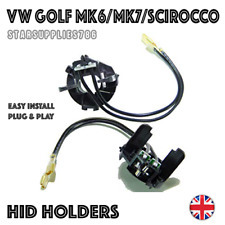 This is a pair of H7 bulb holders/adapters that are compatible with VW Scirocco. 2x VW Scircco Hid Holders. If you have a Hid kit but cannot fit the bulbs correctly in the headlight then these holders are for you. 2x H7 VW GOLF/SCIROCCO HID Holders. This is a pair of H7 bulb holders/adapters that are compatible with VW Golf Mk6/Mk7 & Also VW Scirocco. 2x VW Hid Kit Bulb Holders. If you have a Hid kit but cannot fit the bulbs correctly in the headlight then these holders are for you. 2x H7 VW GOLF MK6 HID Holders. 2x VW Golf Mk6 Hid Holders. This is a pair of H7 bulb holders/adapters that are compatible with VW Golf Mk6/Mk7. If you have a Hid kit but cannot fit the bulbs correctly in the headlight then these holders are for you. 4Z7907357 UNIT XENON HEADLIGHTS VOLKSWAGEN PASSAT SW < span class = notranslate ' > 1.9 74KW 5drs D 5 m (2002) PARTS USED. MPN 4Z7907357. Category veiocolo: SW STATION WAGON. Year: 2002. Excellent quality and easy to install on all compatible cars. Lampholder for model car: GOLF VI SCIROCCO. AUTO COMPATIBILE GOLF 6 VI SCIROCCO. VOLKSWAGEN XENON HEADLIGHT BULB SOCKET ADAPTOR 2 X PAIR VW GOLF VI 6 SIROCCO. Excellent quality and easy to install on all compatible cars. Lampholder for model car: GOLF VI SCIROCCO. AUTO COMPATIBILE GOLF 6 VI SCIROCCO. VOLKSWAGEN XENON HEADLIGHT BULB SOCKET ADAPTOR VW GOLF VI 6 SIROCCO. 746-960-RIGHT FRONT HEADLIGHT XENON 00AE CENTRALA VOLKSWAGEN TIGUAN < span class = notranslate ' > 2.0 TDI 103 KW PARTS USED. Engine code (located at point P5 of the booklet) Being the parts used may have slight signs of wear and tear. This is a pair of H7 bulb holders/adapters that are compatible with VW Golf Mk6/Mk7 & Also VW Scirocco. 2x H7 VW GOLF/SCIROCCO HID Holders. These Bulbs Holders are designed for all VW Golf Mk6/MK7 & Scirocco. 746-960-LEFT FRONT HEADLIGHT XENON 00AE CENTRALA VOLKSWAGEN TIGUAN < span class = notranslate ' > 2.0 TDI 103 KW PARTS USED. Engine code (located at point P5 of the booklet) Being the parts used may have slight signs of wear and tear.